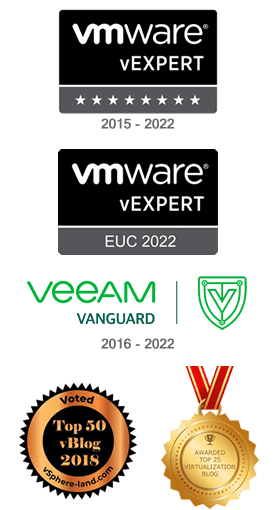 Veeam reported a bug related to self-signed certificates generated during the installation of the software and used by the backup infrastructure components to communicate safely. 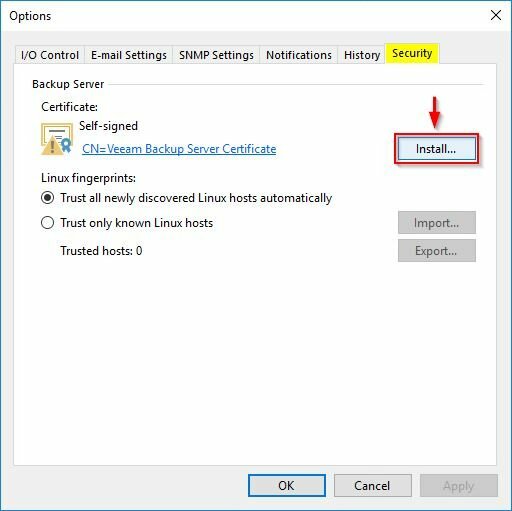 By default the generated self-signed certificate is created and set to expire after one year and due to a bug after the Update 3 installation date, a strange behavior occurs while opening the Veeam Backup console. 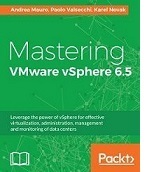 The problem arises when you open the Veeam Backup console after 11 months after Update 3 installation time. 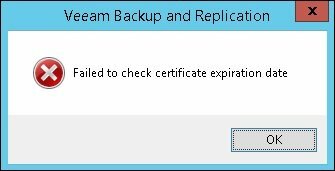 You receive a Failed to check certificate expiration date error message and, if the message is ignored, after 12 months the Veeam functionality breaks and the agent management functionality and all granular restores fail. This bug will be fixed in the Update 4 and the solution to quickly solve the problem requires the creation of a new self-signed certicate as reported in the KB2806. Before proceeding, make sure no backup jobs are currently running. 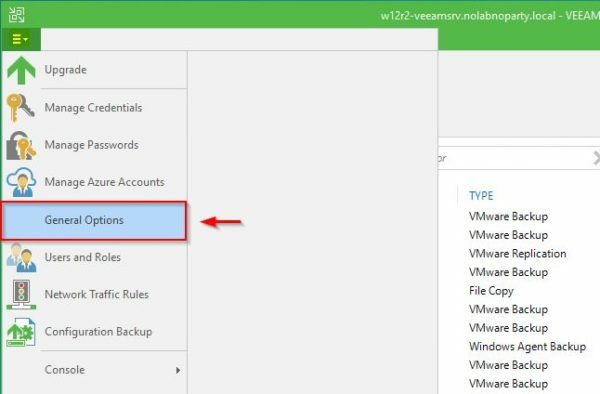 Open the Veeam Backup console and access the General Options. Go to Security tab and click Install. 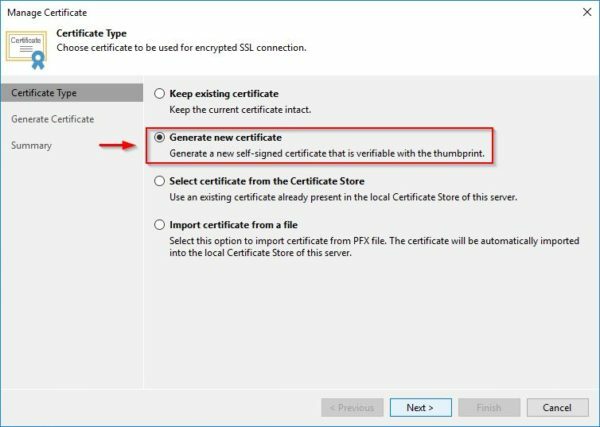 Select Generate new certificate option and click Next. Make sure no backup jobs are running then click Yes to continue. 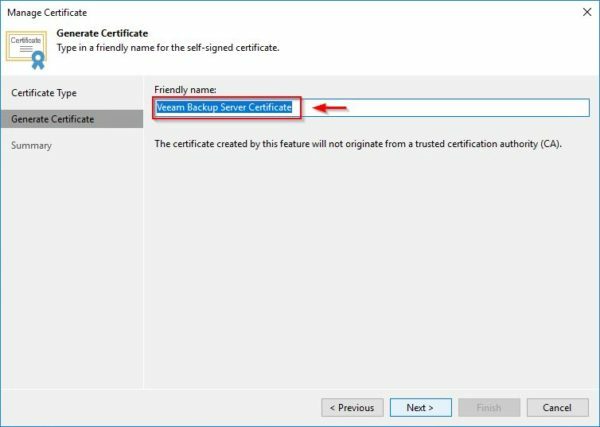 Leave the default Friendly Name or enter a new one for the created self-signed certificate then click Next. A new self-signed certificate is being created. 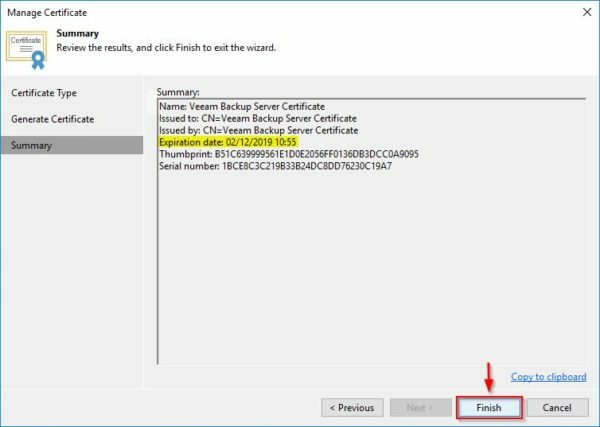 Click Finish to save the new certificate in the shared certificate store on the Veeam Backup Server. 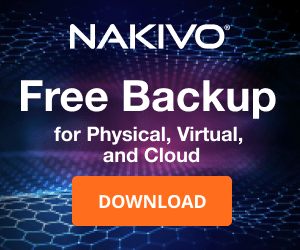 This fix allows you to avoid nasty surprises in your backups due to self-signed certificates issue keeping your backup infrastructure healthy. 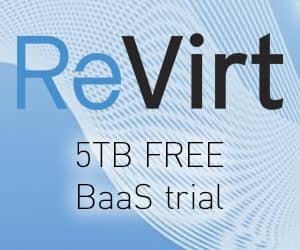 The issue has been fixed in Veeam Backup & Replication 9.5 Update 4.